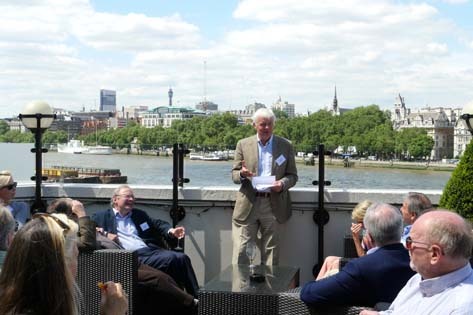 Summer returned to London just in time for the Network Summer Party on 6th July. The venue was once again the Terrace Bar at Doggett’s Coat & Badge, on the southern end of Blackfriars Bridge. With an improved menu, quick and friendly service, a sun-kissed outdoor terrace, a good turnout of current members and the presence of several new members and visitors, it was a great way to spend a Wednesday afternoon.